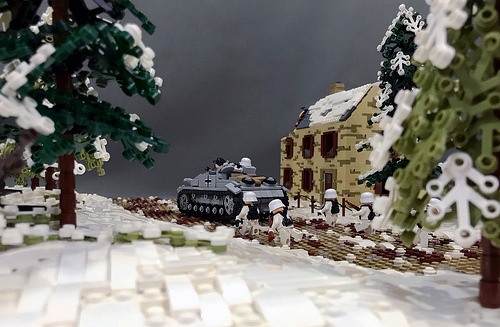 The Battle of the Bulge was the German’s last offensive of World War II. 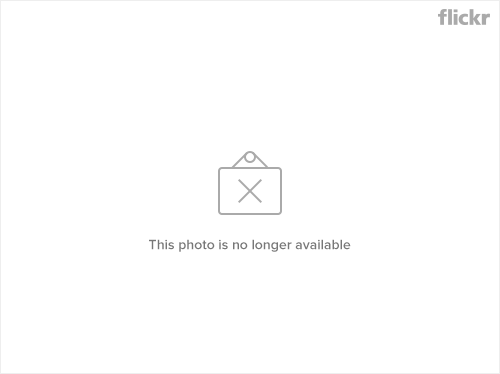 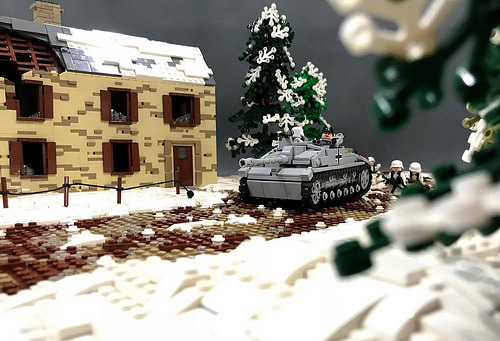 Although it initially caught Allied forces off guard, especially in the heavily wooded Ardennes region, it proved to be a major disaster for Germany that hastened its inevitable demise. 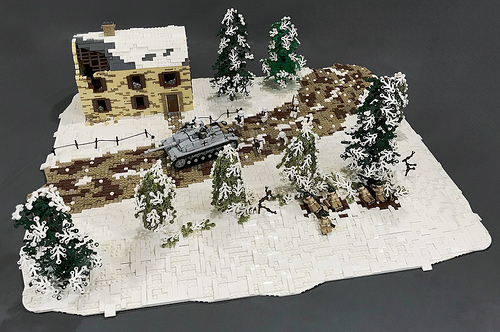 Dunedain98 has build a wintry scene from this battle that depicts American soldiers preparing to attack an StuG III Assault Gun alongside a derelict, battle-damaged home. 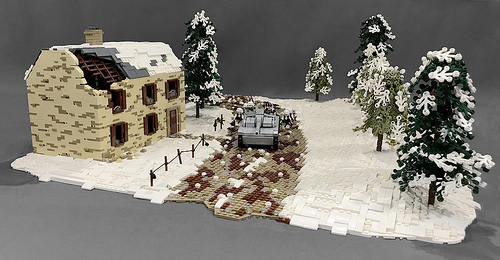 A view closer down to the action from minifigure eye-level really shows off the atmosphere with the snow-laden trees and the offensive anticipation in the air.